For hundreds of years, a cork has been the classic closure for wine bottles. It’s often the star of the show when serving wine in a restaurant. The server carefully removes the foil from the mouth of the bottle and the cork is gingerly extracted and presented to the patron who ordered the wine. The ceremony continues with an examination of the cork for moisture and maybe a sniff to detect any potential spoilage. This drama unfolds a countless number of times every day in restaurants around the world. It’s no wonder that we have an emotional attachment to corks. It’s taken decades for wines with screw caps to shed the stigma of being associated with cheap “hobo” wines. Screw caps reduce wine faults typically associated with corks and are definitely more convenient to open. Now, just as the majority of consumers are finally accepting screw cap wines as a viable alternative for corks, wine on-tap and wine bottled in growlers are emerging as the next big thing in wine packaging. 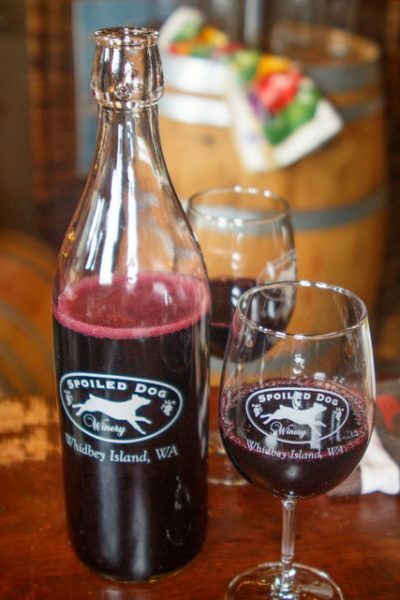 Here on Whidbey Island, Spoiled Dog Winery is leading the pack with this new way of delivering and consuming wine. While growlers are familiar to most beer lovers, they’re relatively uncommon as a container for wine drinkers. A growler is a refillable container that’s designed to be securely sealed and used for off-premise consumption of wine or beer. Washington State is one of a handful of states that allows wineries to sell wine this way. 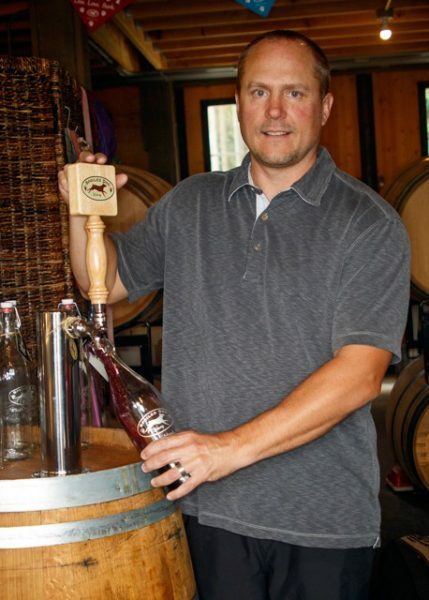 Spoiled Dog Winery recognized this emerging trend and has embraced the idea as a way to reduce their carbon footprint and encourage recycling of glass by offering their Pooch red table wine in a one-liter growler. Spoiled Dog introduced their Pooch red table wine in 2015 as an experiment to see if there was demand from their customers for a lower-priced wine intended for casual drinking. 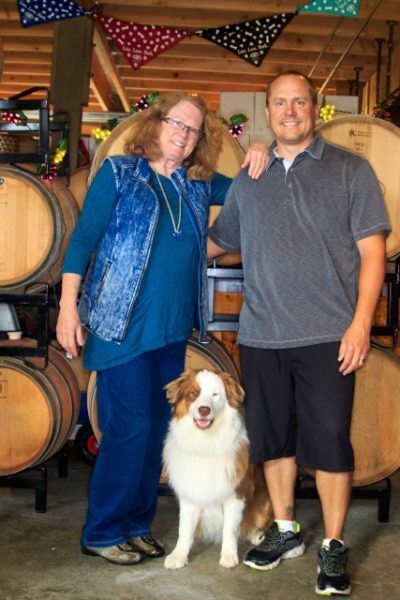 Pooch was a success, which led the Owner-Winemaker Karen Krug to expand Pooch production and launch the winery’s entry into the world of wine growlers with the current release. It was a natural fit for Pooch, as it allowed them to reduce their production costs without compromising the quality of the wine. 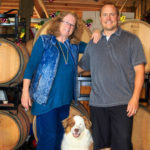 Krug realized that filling the growlers directly from the barrel was not practical, so she and her son, Jake, who recently joined Spoiled Dog as Director of Operations, began an exhaustive search that resulted in locating a unique keg and tap system especially designed for storing and serving wine. They quickly recognized that the kegs they were using to fill their Pooch growlers would also be a cost-effective and space-saving solution for restaurants serving wine by the glass or carafe. The current release of Pooch is a blend of Carmenere and Cabernet Sauvignon grapes grown in the Columbia Valley in Washington. A one-liter bottle costs $18 (plus a one-time $10 charge for the growler). In addition, every 10th refill is free. 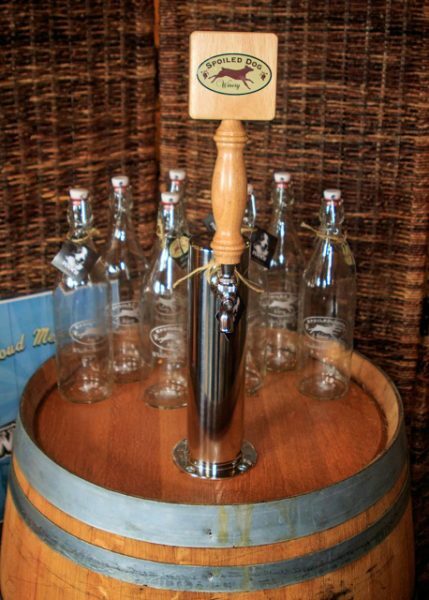 If you can’t make it to the winery to sample a growler of Pooch, you can find it on tap and sold by the glass at Penn Cove Brewing Company in Coupeville; it will be coming to other restaurants on the island soon. Steve Kilisky has lived on Whidbey Island since 2008. When not satisfying his insatiable thirst for wine, he spends his working hours delighting customers of Adobe software. He holds a Certificate in Wine Business Management from Sonoma State University and occasionally shares his thoughts and musings on the art, science and business of wine on his blog: https://winingonwhidbey.wordpress.com.